Reduces and break Kapha accumulation in the tissues. It Flushes the lymphatic system of toxins, sluggishness and accumulated wastes. Useful in Lipomas, irregular undifferentiated growths, cysts, tumors etc. Supports a balancing on the thyroxin production increasing any deficient production and decreasing any excess. So it is helpful for both hypo/hyper thyroid. Kanchnaar Gugglu - Herbal remedy for cystic swelling, tumors, fibroids and enlargement of lymphatic glands. Bauhinea variegata bark - it is an effective herb in treating tumors. The bark is astringent, anthelmintic, used externally in scrofula and skin diseases. It has found to have anti-tumor activity. It is also effective in treating enlargement of lymphatic gland, cystic diseases and tumors. It is well known for its anti-inflammatory action. Crataeva nurvula bark - it is an excellent remedy for treating scrofulous enlargement of glands. It has anti-inflammatory effect and is helpful to stimulate bile secretion, appetite and bowel movement. Also, the anti-urolithic activity of the bark prevents the formation of calculi. It is a diuretic and also useful in treating urinary disorders. Elettaria cardamomum - it is effective as anti-spasmodic, carminative, anti-emetic, stomachic, orexigenic, anti-asthmatic and even anti-septic. It is useful in treating flatulence, loss of appetite, colic, bronchitis and asthma. It is also useful in treating rheumatism and acts as a cholagogue. Cinnamomum zeylanica - it is effective as an anti-spasmodic, carminative, astringent, haemostatic and anti-septic. It is useful in treating loss of appetite, gastro-intestinal disorders and bloating. It is also useful in alleviating inflammation and pacifying factors responsible for inflammation. That is, According to Ayurveda, 'Ama' (undigested material or toxin) are the prime cause for any kind of disease like that of the inflammatory or tumors etc. this helps in "Pachana' of the 'Ama' responsible for the disease because of its excellent carminative effect. Cinnamomum Zeylanica leaves - it is an effective digestive stimulant and carminative. It is useful in treating dyspepsia and rheumatism. It is anti-diabetic. It is useful for treating nausea, vomiting etc. it is also useful for 'Pachana' of 'Ama'. Commiphora mukul - it is effective as anti-inflammatory and revitalizing properties. it is a well known drug for its anti-tumor effect. 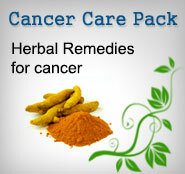 It is useful in treating cystic and fibroid conditions because of it anti-tumor property. 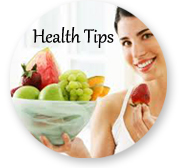 It is also useful in reducing the cholesterol level or unwanted fats in the body. It is an excellent analgesic and useful in alleviating pain and inflammations. It is useful in nervine disorders. It also acts as a diuretic and useful in treating urinary disorders. Indications - cystic swelling, tumours, fibroids, enlargement of lymphatic glands and skin diseases. Dosage - 2 tablet twice a day or as directed by the Physician.